$100/hour, Minimum of 4 hours (approximately 1 hr set-up/1 hr break down, 2 hour event) Shorter events can be accommodated. An additional cleaning fee will be charged and varies with each event. The open-concept design of the gallery means the acoustics inside are not conducive to musical acts, or amplified DJ's. We offer a sound system that works with an ipod for ambient music. Exterior performances are welcome, however they may not be amplified due to NH State Parks rules. During the Summer season, our neighbor, the charming Little Harbor Chapel is available to rent for musical performances, and is just a short walk (1/10 mi) from Drift Gallery for post-performance receptions and events. There can be absolutely nothing hung, nailed, or taped to the walls at Drift Gallery without the prior approval of a gallery representative. A gallery representative must approve all publicity concerning Drift Gallery. Smoking is not permitted inside the gallery. No glitter or confetti is allowed on the premises. In the event of any damages occurring to any artwork or to the physical condition of any and all public space inside or outside, the renter will be held solely responsible and will be billed accordingly. This includes, but is not limited to scratches, nicks, and breaks. No other art-related events may occur at the gallery without prior approval. Parking is available onsite. For directions and parking information, please click here. We prefer any group or organization that wishes to host an event at Drift Gallery engage our preferred event partners in order to ensure the most exceptional experience possible. 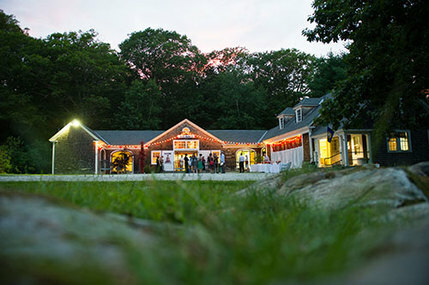 At Drift Galley, every detail is accounted for, making each event we host an affair to remember and celebrate. Event Design: Minnow + Co.
Tents, Tables, Chairs, Linens, etc.